Summer is here and that means lunch at home for many of us. 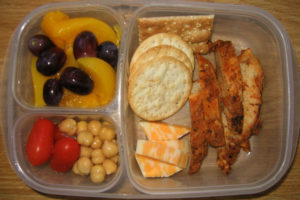 If you are looking for some healthy lunch ideas, check out this wonderful list of 173 lunch ideas over on Easy Lunchboxes. I was just telling someone that I wanted to make my kids lunches look more like a Bento Box – this is exactly what I was looking for help on!